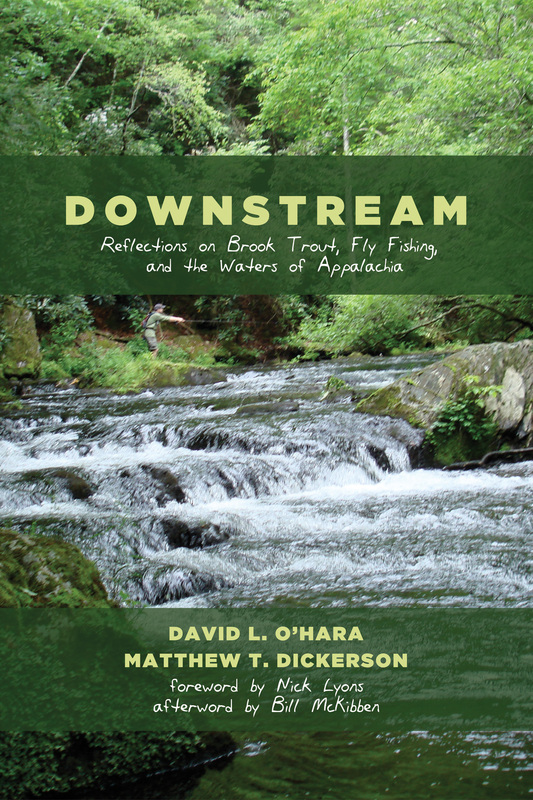 If you have even a passing interest in brook trout then you will want to pick up a copy of Downstream by David L. O’Hara and Matthew T. Dickerson. So begins this excellent book that explores the nexus between brook trout, fly fishing and some of the more interesting locations these very special fish call home. The authors switch off with narratives that reflect both their personalities and points of view. The joy in the book comes in how they share their experience of fishing for brookies and the insights they give to the importance of the habitat the brook trout occupy. The only complaint I would lodge is that they did not include Virginia in their travels. It would have been wonderful to see my home waters through their eyes. The authors explore not only the impacts wrought upon the brook trout’s habitat, they also share their experience as fisherman; the teaching, manners, politics and connections to home. Dickerson is quite adept and entertaining at sharing the conundrums many fly fisherman face. At the beginning of the conclusion, O’Hara quotes Kathleen Dean Moore from Pine Island Paradox. Then, in my favorite part of the book he delves into the question of why he fishes. No doubt the answer to why is going to be different for everyone; but he does a fine job of putting on paper something that I and many others can relate to, to know the world we live in and our own lives better. Downstream delivers an excellent “look” that Moore describes and the reader will come away with a sense of having stood side by side with the authors as they share their sense of caring for these special fish and the places they live.